Football Play Card - Instantly create and draw football plays, play cards, play scripts, and playbooks! 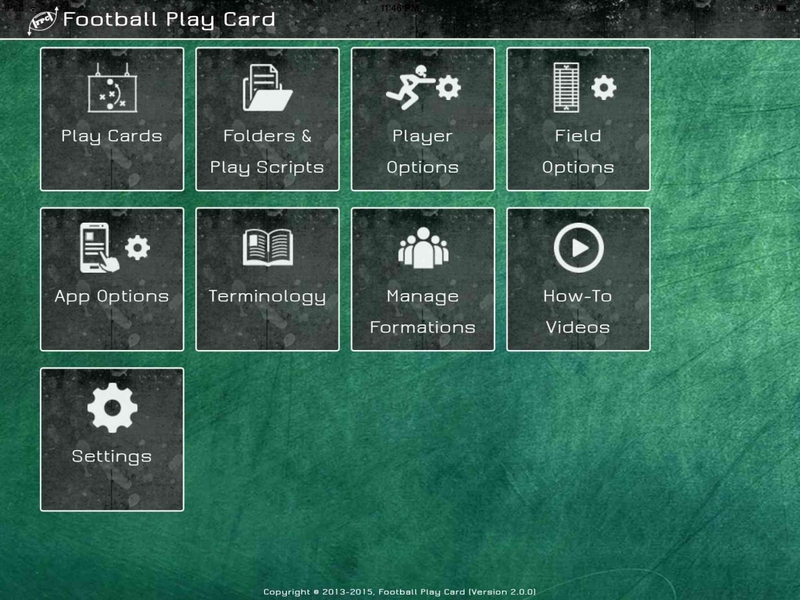 Our football playmaker and designer app includes over 1,000 play cards from 36 formations. 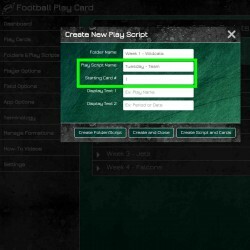 Instantly create and draw football plays, play cards, play scripts, and playbooks! Draw play cards like the pros and prepare like a champion! 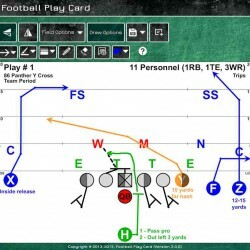 The Football Play Card application gives football coaches the ability to create and draw football plays, play cards, play scripts, and playbooks in a speedy, simple and sophisticated manner. It has been designed by former collegiate football players with input from professional and collegiate coaches to include the necessary features to take creating and drawing football plays, play cards, play scripts, and playbooks to the championship level. Coaches at the youth, high school, college and professional levels will no longer have to waste time drawing football plays and scout cards by hand and can spend more time focusing on winning. With the tap of a few buttons, not only can you modify the preset formations and play cards, but you can also create custom reusable offensive formations, defensive fronts, and defensive coverages. 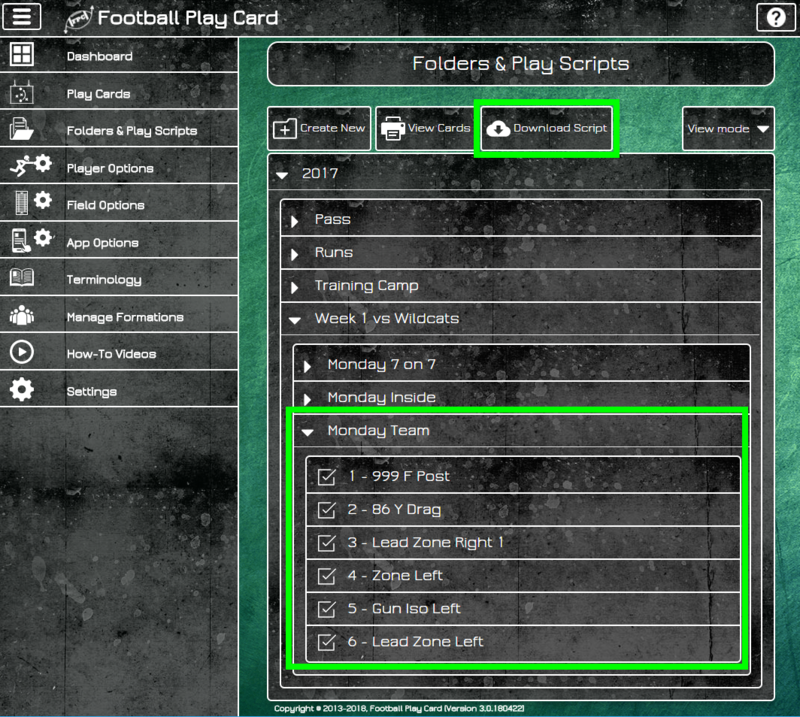 All of the functionality within the Football Play Card app is optimized for your laptop, desktop, iPad, Android tablet, and mobile phone. 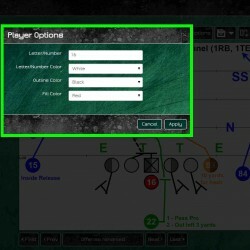 You can even take your play cards to the field on an iPad or Android tablet, or by printing them out from the web. 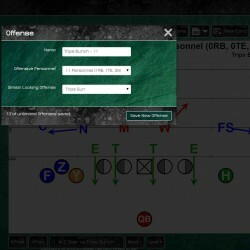 This football playmaker app is a must-have tool for coaches at every level. Why Choose Football Play Card? 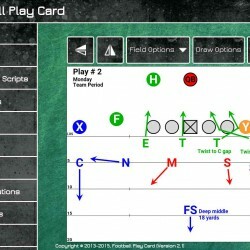 The number one reason coaches choose Football Play Card to draw their play cards and playbooks, "Save Time"! Football Play Card started in early 2013 after a conversation between our CEO and his brother, who is an NFL coach, about why coaches are in the office from sunrise to midnight during the season. After the standard answers of game planning, watching film, practice, scouting, more game planning and more watching film, drawing play cards and scout cards came up. Naturally, our CEO thought they used some awesome tool that created them automatically, but the answer he got was surprising. His brother told him that coaches in the NFL and college used markers and card stock to draw their play cards because it was easy, that’s how they have always done it and there was nothing better available. After a lot of research, we agreed that at that time, markers and card stock was the best option available for coaches. At that moment, we decided to build an app for coaches to draw play cards and playbooks. Because we are former collegiate football players who are now software engineers, we had all of the right tech tools and football knowledge at our disposal to build an app for coaches and players that was easy to use, fast, intuitive, and filled with football intelligence. Do you use play cards during meetings and practices? If not, you should! If they say a picture is worth a thousand words, what do you think a perfectly drawn play card is worth? Players are visual learners, so if you are telling your players their assignments without showing them, you are not maximizing your team’s time at practice. At the college and pro levels, they use play cards throughout the entire day to help teach and prepare their players to win. Whether it’s during meetings, pre-practice, between drills, during 7on7, inside, and team periods, they are constantly using play cards as a learning tool as well as a practice efficiency tool for their scout teams. How long does it take you to draw a play card using your current method? 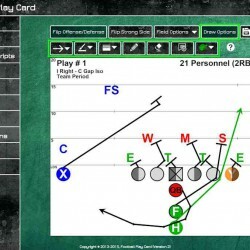 With Football Play Card, you can create and draw a play card with the correct alignment for your selected personnel, offensive formation, defensive front, and coverage within seconds. Football Play Card is not only for football practice during the season. Our app is also great for teaching during camps and clinics as well as calling plays during 7v7 tournaments. Former All Pro Miami Dolphin wide receiver, Chris Chambers, used Football Play Card to make his playbook and call plays during the 7v7 National Championship tournament because of how much easier it is to call plays by scrolling on tablet in the huddle vs trying to flip through his paper plays in a binder. and thousands of more College, High School, Youth, 7on7, and Semi Pro teams! With the Football Play Card subscription, you will always receive FREE upgrades to the latest version so you can use the new functionality & enhancements without paying for additional upgrades. 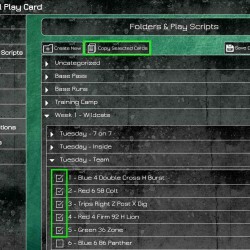 You will have access to our web app at FootballPlayCard.com as well as our mobile apps on iOS, Android, & Kindle Fire.